Dimensions 1.25 by 5.75 by 7.75 in. Before SANTA was SANTA, he was North, Nicholas St. Northâa daredevil swordsman whose prowess with double scimitars was legendary. 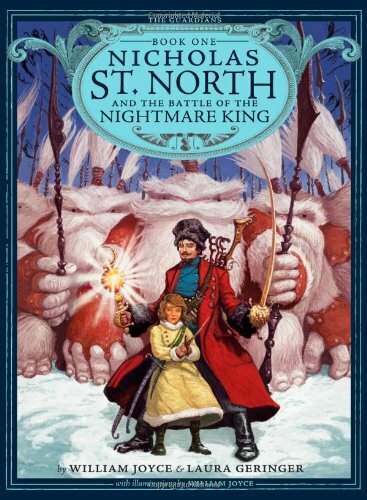 Like any swashbuckling young warrior, North seeks treasure and adventure, leading him to the fiercely guarded village of Santoff Claussen, said to be home to the greatest treasure in all the East, and to an even greater wizard, Ombric Shalazar. But when North arrives, legends of riches have given way to terrors of epic proportions! North must decide whether to seek his fortuneâ¦or save the village. When our rebellious hero gets sucked into the chaos (literally), the fight becomes very personal. The Nightmare King and his evil Fearlings are ruling the night, owning the shadows, and sending waves of fear through all of Santoff Clausen. For North, this is a battle worth fighting...and, heâs not alone. There are five other Guardians out there. He only has to find them in time.